Google says that, with some 300 hours of videos uploaded to YouTube each minute, it is impossible to block all terrorist-related material from the platform. 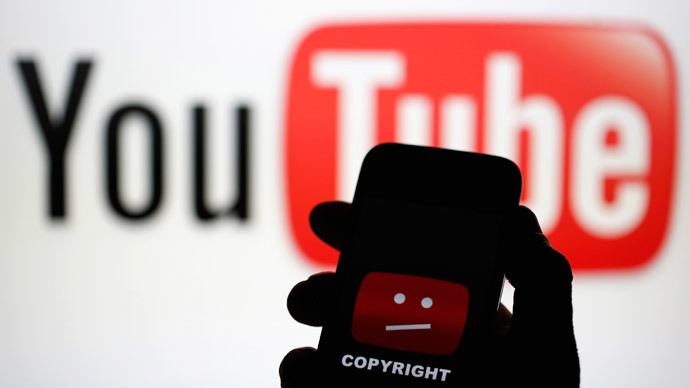 Google public policy manager Verity Harding said that “to pre-screen those videos before they are uploaded would be like screening a phone call before it’s made,” AP reported. Harding detailed exceptions from the rule, stating that “many media outlets did show portions of those [beheading] videos” without getting flagged. In particular, videos of IS beheadings were removed, Harding said. Harding spoke at the European Parliament anti-terrorism meeting of the ALDE liberal group on Wednesday. The EU Counter-Terrorism Coordinator Gilles De Kerchove stressed that the situation could be helped by involving experts from member states who would flag the terror-related content coming from their countries. “We have to help them, and refer to them, and signal content. Each member state should have a unit with people trained to do that,” De Kerchove said. Currently, the EU chief anti-terror official views this as a moral decision rather than a legal obligation. "We can contemplate legislation, but I suspect it would be an awfully monumental exercise," he said, as quoted by AP. Recently, De Kerchove said 93 percent of sensitive content was removed, following a Scotland Yard unit telling Google about spotting some material that was against the giant’s guidelines.